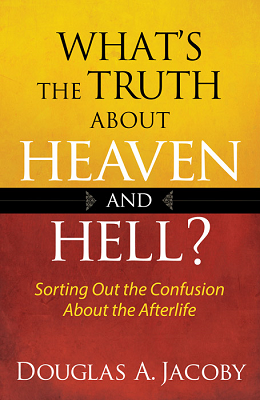 No Exit: Excerpt from Douglas Jacoby's, What's The Truth About Heaven and Hell? without intermission, in hell fire forever. [There are] endless opportunities in an endless amount of time for people to say yes to God. As long as it takes, in other words. The destructive process will include distress, fury, tribulation, and God’s wrath. No one should think that the wicked simply go quietly asleep. This is not an easy demise. The second death is not a peaceful death. I recently attended a dialogue on the duration of hell. Three scholars, representing infinite torment, universalism, and conditionalism, shared the floor.1The scholars were Jerry Walls (representing the traditional view of infinite torment), Thomas Talbott (espousing universalism) and Edward Fudge (conditionalism). 12 June 2012, Lipscomb University, Nashville. I was most intrigued by the spirit of mutual respect. At times, it was more than respect—verging on collegiality, even camaraderie. If only that spirit would always typify the debate on hell. In some books the battle lines have long been drawn, no side willing to cede an inch. As I have seen with my own eyes, it does not need to be this way. I embraced the traditional view when I became a Christian at Duke University. I was unaware that there were any other serious contenders. The seminary at which I got my next degree, Harvard Divinity School, is universalist. (Universalists believe that no one will be lost.) The Bible was discredited as the word of God; we needed only to march to the beat of the drummer within. To me, universalism did not seem a serious contender. A couple of years later I stumbled across the writings of the annihilationists (or conditionalists, as they believe humans will become immortal only on the condition that God grants them this gift). I knew that advocates of the first and third views had many Scriptures to back them up, but I was taken aback to learn that some universalists also have well thought-through positions. In this chapter we will lay out these three principal views on hell. All three were present in ancient Judaism, from which Christianity emerged, as they were in early Christianity. We will also look briefly at medieval thought on hell. After developing the positions and covering the history, we will see that each has its modern proponents. The traditional view, also called infinite torment, has the weight of church history on its side. Infinite torment is the official position of most churches and has reigned unchallenged since at least the fifth century. Eternal in Matthew 25:46 is understood to mean “infinite.” The consuming fire of Mark 9:48 is interpreted as infinite punishment. (Actually, the passage is ambiguous.)2N.T. scholar Craig Keener is ambivalent: “Mark 9:48 may well be interpreted as destruction (annihilation), but Judith 16:17 (second century BC) had already taken it in the sense of eternal torment, so there is some cause for thinking Jesus may have believed in infinite punishment.” Craig S Keener, The IVP Bible Background Commentary: New Testament (Downers Grove, Illinois: InterVarsity Press, 1993), 160. Given the ambiguity of eternal, the traditional view relies on three passages to give color to eternal punishment. They are the parable of the rich man and Lazarus (Luke 16:19-31) and two passages in the apocalypse (Revelation 14:10-12 and 20:10,15). The theological basis is that the lost have sinned against an infinite being and thus deserve infinite (endless) punishment. As a result, there will be forever two kingdoms—the kingdom of God and the kingdom of evil.3Augustine, Enchiridion 111. “Evil is an eternal element in the universe, no less positively real than the good itself.”4Baillie, among others, draws out the implication. John M. Baillie, And The Life Everlasting (London: Oxford University Press 1934), 244. John Gerstner, Repent or Perish (Ligonier, Penna: Soli Deo Gloria, 1990), 53, is an example of a modern teacher who still believes that Satan will forever rule in hell. Universalists reason that since it is God’s will that all be saved (2 Peter 3:9; 1 Timothy 2:4), and he is all-powerful, all will be saved. They also reason from God’s essence as love (1 John 4:7,16). It would be unloving, and thus against his nature, to allow anyone to suffer forever.5Thomas Talbott, in The Inescapable Love of God (Boca Raton, Florida: Universal Publishers, 1999), Starts with “God is love” and assumes actions of God must be loving. Talbott makes a further, intriguing point (especially for those in the Calvinist camp). “And if it is not heretical for Calvinists to believe that all passive recipients of God’s electing love will all be saved in the end, why should it be heretical for universalists to believe this as well?” Those who believe in predestination make assumptions similar to the universalists’. Even if we don’t want to be saved, says the Calvinist, God’s grace will be irresistible. If it is his will, we will be saved. Talbott’s reasoning is sound, although it will not carry much weight with Arminians. “Universalism, Calvinism, and Arminianism: Some Preliminary Reflections,” 5. This paper may be easily found on the Web, e.g. http://www.willamette.edu/~ttalbott/prolegomenon.shtml. His overarching purpose, to bring everyone into the heavenly kingdom, will not be frustrated. God will be all in all (1 Corinthians 15:28) only when evil has been universally destroyed. (This is also a point made by the conditionalists.) Further, passages such as Revelation 21 seem to depict unbelievers alive and well in the next world. Universalists reason that if God can forgive sinners in this age, there is no reason why he couldn’t forgive them in the age to come. Some regard the fire of judgment either as restorative or as both retributive and restorative.6Robin A. Parry and Christopher H. Partridge, eds. Universal Salvation? The Current Debate (Grand Rapids: Eerdmans, 2003), xxiv. Note that we are not critiquing secular or liberal universalism, neither of which is based on the gospel.7There are varieties of universalism. Secular universalism holds that everyone will make it in the end. Christian universalism holds to the gospel truth that all who are saved are justified through Christ. This further breaks down into two types, salvation through responding to gospel (sooner or later everyone will say “yes’), and salvation by implicitly responding to gospel (people may be saved through Jesus Christ even though they are unaware of the fact, for example a devout Hindu or a pious Buddhist). Furthermore, some universalists construe hellfire as purifying; being saved may be quite painful, but still all mankind will make it in the end. Our concern is rather with the position of Bible believers who lean in the universalist direction. “There has been a more or less continuous tradition of universalism within (and on the penumbra of) Christianity.” Since 1998 a new species of universalism has emerged—evangelical. Advocates accept the reality of sin, the uniqueness of Jesus, the atonement, judgment, and hell.8Comment by Karl Rahner, cited in in M. Ludlow, Universal Salvation: Eschatology in the Thought of Gregory of Nyssa and Karl Rahner Oxford: Oxford University Press, 2000), 15. Prominent evangelical universalists today include Sharon Baker, Jan Bonda, Robin Parry, and Thomas Talbott. These stand in sharp contrast to other universalist theologians, like John Hick, Death and Eternal Life (Louisville: Westminster John Knox, 1994); Evil and the God of Love (London: Fontana, 1974). Hick does, however, support a theme that has been taken up by universalists like Talbott: human response to the wooing of divine love. They are not numerous, but they are publishing a lot of books. This view entails two doctrines: the immortality of the soul, which some people see as an intrusion from Platonism, and the efficacy of the fire of judgment to annihilate those who are condemned. The consuming fire does not preserve, but destroys, just as weeds are burnt up in a furnace (Isaiah 34:10-11; Ezekiel 20:47-48; Amos 5:6; Matthew 3:12; 13:41-42,50). Sodom serves as an example of eternal fire (2 Peter 2:6; Jude 7). The fire does not consume forever; it destroys forever. Annihilation is the eventual result, though it would be wrong to suppose that conditionalists reject hell. “This is no gentle and passive death, but a fearful extinction wrought by potentially excruciating destruction in the fiery pit of the age to come.”9Edward William Fudge, The Fire That Consumes: A Biblical and Historical Study of the Doctrine of Final Punishment, 3rd edition (Eugene, Oregon: Cascade Books), 2011, 122. I recall a scene from the film Terminator II. The terminator ends his robotic existence in a lake of molten metal. Slowly he slips beneath the surface; his destruction is not instantaneous, but it culminates in complete destruction. At last he is unconscious, extinguished forever. Support for this view is found in the Old Testament (Psalms 2:7-9; 110:5-6; Isaiah 66:24; Malachi 4:1-3) and in the New Testament (Matthew 10:28; 2 Thessalonians 1:7-9). This is the position of the Seventh-day Adventists. In addition, the Church of the East (not to be confused with the Eastern Orthodox) holds to this position and may have done so since before it branched off of the Western Catholic Church in the early 400s.10Stanley J. Grenz, Theology for the Community of God (Grand Rapids: Eerdmans, 1994), 638; David W. Bercot, The Early Christians and Three Views of Hell (CD) (Amberson, Pennsylvania: Scroll Publishing, 2012). I’ll never forget a lecture by New Testament professor James Charlesworth, who once visited King’s College London when I was a postgraduate student there. He demolished the notion that Jews in the time of Jesus all believed the same things.11James Charlesworth (at that time a visiting professor from Duke University), “Pseudepigrapha, Early Judaism, and Christian Origins.” Kings College London, 8 March 1984. Currently Charlesworth serves as director of the Dead Sea Scrolls Project at Princeton Theological Seminary. There was diversity then, just as now. “What did the Jews believe about ___?” is the wrong question. On many subjects there were multiple understandings. This was eye-opening for me; imagining that everyone thought alike had been so much easier. I still hear people say that all Jews in New Testament times believed in eternal torment, but this is not accurate. There was a diversity of positions among the rabbis. No Old Testament passages clearly support infinite torment (Isaiah 66:24 seems to teach the opposite), but the notion is found in many later works.12Judith 16:17; 1 Enoch 27:2, 53:1-3, 91:9; 2 Enoch 40:12-13, 10:1-6; Sibylline Oracles 52:290-310; 2 Baruch 44;12-15,51-56; Testament of the Twelve Patriarchs Reuben 5:5, Gad 7:5, Benjamin 7:5; Jubilees 36:10; 4 Maccabees 12:12. The immortality of the soul and infinite punishment were part of Greek religion and philosophy, but the Jews had a long history of resisting such influences.13In Homer’s Odyssey XI, 575 Tantalus, Sisyphus, Tityus, and Ixion are doomed to endless punishment in Tartarus. Virgil’s Aeneid also contains the idea. Conditional immortality (annihilation) also finds wide support.14Psalms of Solomon 3:11-12; Sibylline Oracles 4:175-185; 4 Ezra 7:61; Pseudo-Philo 16:3. Thus the Pseudepigrapha are divided. Technically Judith is not included in the list, but we list it because it belongs with the other references. The term Pseudepigrapha refers to Jewish works of pseudonymous authorship. They were normally attributed to great figures of faith. None of these documents were accepted as canonical, with the lone exception of 1 Enoch, which is part of the O.T. canon of the Ethiopic Orthodox Church. In the Dead Sea Scrolls, the wicked are completely consumed. The first passage (chronologically) to unambiguously promote eternal torment is Judith 16:17, which is part of the Old Testament Apocrypha, accepted in Catholic and Orthodox churches as canonical. The nations who rise up against my people are doomed. The Lord Almighty will punish them on Judgment Day. and they will weep in pain forever (Judith 16:17).15For the usual sense of worms as agents of decomposition, “For when a man is dead, he shall inherit creeping things, beasts, and worms. Moths and worms shall have him to heritage, and a bold man shall be taken away” (Ecclesiasticus 10:11, 19:3). Notice that in Judith, Isaiah’s corpses being devoured by fire and worms have become sentient—not a subtle change. There were two Jewish views on Gehenna: It consumed sinners, or it tormented them forever. In the Babylonian Talmud, the worst sinners were sentenced to Gehenna for 12 months, after which “their bodies are destroyed, their souls are burned, and the wind strews the ashes under the feet of the pious.” There is no Gehenna in the future world.16“Ge-hinnom” in The Jewish Encyclopedia, vol 5, cols 581-583, 1925. As for universalism, in the oldest rabbinic reference to Gehenna (Talmudic tractate Sanhedrin 13:3), the disciples of Shammai interpreted it as purgatorial, not merely punitive—though only in the case of those whose transgressions and merits balance one another. Annihilation is taught in every book of the Apocrypha except Judith (as we saw above). In the Dead Sea Scrolls, the wicked are always completely destroyed. The Targums (Aramaic paraphrases of Scripture with commentary) explain the term “second death.”17Alberdina Houtman and Magda Misset-van de Weg, “The Fate of the Wicked: Second Death in Early Jewish and Christian Texts,” in Empsychoi Logoi—Religious Innovations in Antiquity: Studies in Honour of Pieter Willem van der Horst, Ed. A. Houtman, A. de Jong, and M. van de Weg, 405-424. Ancient Judaism and Early Christianity 73 (Leiden: Brill, 2008). The authors conclude also that the “second death” in Revelation was possibly inspired by Matthew 10:28; Luke 12:4-5; annihilation was presupposed (p.410). This expression, found in six Targums, refers either to nonresurrection (annihilation) or resurrection followed by eternal life or an eternal death.18Targums Onqelos and Jonathan, on Deuteronomy 33:6; Isaiah 22:14, 65:6,15; Jeremiah 51:39,57. The most careful scholars admit that first-century Judaism was far from monolithic.19Craig S Keener, The IVP Bible Background Commentary: New Testament (Downers Grove, Illinois: InterVarsity Press, 1993), 58. Popular writers like Francis Chan candidly admit that first-century Jews regarded hell as a place of punishment, though they differed over its duration.20Francis Chan and Preston Sprinkle, Erasing Hell: What God Said About Eternity, and The Things We Made Up (Colorado Springs: David C. Cook, 2011), 56. There are no unambiguous Scriptures supporting infinite torment in the New Testament, unless Revelation 14:10-12 and 20:10,15 are meant to be taken literally. (If they are, this is strong support for infinite torment.) However, a few generations after the New Testament period, some Christians were cooking up horrific tortures for the damned (as in the Apocalypse of Peter, the Acts of Thomas, and the Apocalypse of Paul). Some second-century apologists, including Athenagoras and Tertullian, accepted the Greek doctrine of the soul, typically in defending the Christian doctrine of the resurrection of the body.21A typical passage is Tertullian, The Resurrection of the Flesh, 35. Irenaeus held both annihilationist and traditionalist views simultaneously. Universalism was always a minority view. Its most illustrious advocates were Clement of Alexandria (AD 150–215) and Origen (AD 185–254).22Clement of Alexandria, Paedogogus 1:8; Protrepticus 9; Stromata 6:6; Origen De Principiis 1.6.2-4; Contra Celsum 5.15, 6:25. Both taught that apokatastasis (restoration) purified sinners so that they would ultimately be made holy. Gregory of Nyssa (335–395) continued Origen’s thought, keeping the universalist strain alive.23Origen In Ezech. Hom. 1,2; Gregory of Nyssa, Oratio Catechetica 26. Conditional immortality (annihilationism) was taught by the apostolic fathers, the Epistle of Barnabas, the Didache, and Justin Martyr (late first to mid-second centuries). Irenaeus, as mentioned, seems to have held to annihilationism and infinite torment, while Arnobius (who died about AD 330) rejected the traditional view outright. Summarizing the early church period, annihilationism was prevalent until the mid-second century. It seems to have been the de facto position of the apostolic fathers, churchmen living within two or three generations of the apostles.24Here are the relevant references in the extrabiblical Christian literature of the first 150 years: Didache1:1, 16:5; 1 Clement 9:1 (note, 2 Clement 17:6-7, which is normally not attributed to Clement, and dates from c.160 AD, shows the infinite torment view); Ignatius Ephesians 11:1, 16:2; Smyrnaeans 6:1; Magnesians 5:1; Trallians 2:1; Polycarp Philippians 7:1; Martyrdom of Polycarp 2:3, 11:2; Barnabas 4:12, 20:1, 21:1, 21:3; Diognetus 10:7-8; Justin First Apology 12,17,45; 2 Apolology 1,8,9. They used words like perish, destroy, consume, and kill, without explicitly concluding that such terms were being used in a special sense entailing immortality. Yet over the entire period (between about AD 30 and 325), infinite torment was unquestionably dominant. David Bercot, an expert on the church fathers, estimates that as many as 85 percent of writers in the early church stood for the traditional view, followed by conditionalists and (in last place) the universalists.25David W. Bercot, The Early Christians and Three Views of Hell (CD) (Amberson, Pennsylvania: Scroll Publishing, 2012). The medieval period stretches from the time the Roman Empire favored Christianity (from around AD 311) to the Renaissance (around 1400). Persecution came to an end. There is little doubt the most influential churchman was Augustine (354??–??430). Whereas in the first three centuries there were different opinions on hell, Augustine pushed hard for uniformity.27Through Augustine’s influence Purgatory also became the standard accepted view, as did his doctrine of original sin, which served as an apologetic for infant baptism. In the fourth century the testimony is mixed; by the fifth, the medieval Catholic view of salvation and the afterlife develops rigid contours. Augustine’s position on infinite torment determined the direction of the church thereafter.28Traditionalist author Harry Buis admits that there was a certain state of fluidity before Augustine. The Doctrine of Universal Punishment (Philadelphia: Presbyterian & Reformed, 1957), 61. Although he was a staunch traditionalist, no dissenter on the topic of hell was ostracized. However, in the century after his death, things changed. At the Council of Constantinople (AD 553), Origen was anathematized.29The Council of Constantinople (553); also Fourth Lateran Council (1215), and Vatican I (1870); as well as the words of Pope Innocent IV (1224). The one who thought all might be purified by the fire was, ironically, sentenced to be consigned to the fire—he and anyone who might dare to follow him. Three other important figures deserve mention, all from the High Middle Ages. One is Anselm (eleventh century), who argued that infinite punishment was required because of God’s offended judgment. Just as an offense against a nobleman was more serious than an offense against a commoner, an offense against God required the greatest punishment—an infinite one. Biblically speaking, Anselm’s model is wrong. The degree of the offense is not rated by feudal thinking; with God there is no such favoritism (Exodus 23:3; Leviticus 19:15; 24:19-22; Deuteronomy 1:16). The notion of infinite sin is also found in Thomas Aquinas (thirteenth century). Aquinas reasoned that at death the soul begins to suffer in hell, joined later by the body after the general resurrection. The third person of influence was Dante Ali-ghieri (thirteenth–fourteenth centuries). His graphic descriptions of the pains of purgatory and hell in The Divine Comedy still haunt the modern mind. In our era, and with arguably greater religious freedom than at any time since before Augustine, all three of the ancient views are proliferating. Needless to say, infinite torment is the strongest position, at least if it came to a head count.30Traditionalists include Beale, Blanchard, Block, Braun, Cottrell, Davies, Dixon, Ferguson, Gerstner, Harmon, Helm, Hodge, Horton, Lucado, Mohler, Moo, Morey, Morgan, Packer, Peterson, Pettegrew, Ryrie, Spurgeon, Strong, Walvoord, and Yarbrough. This list includes professional academics (usually attached to universities) and popular authors. Representative of works supporting infinite torment is John F. Walvoord, William V. Crockett, Zachary J. Hayes, Clark H. Pinnock, (Four Views on Hell. Grand Rapids: Zondervan, 1996). An older title has been resurrected and sold very well in the (predominantly Calvinist) evangelical market. It is William G. T. Shedd, The Doctrine of Endless Punishment: Its Historical, Biblical and Rational Defense (New York: Charles Scribner’s Sons, 1886). Adherents follow Anselm’s reasoning that any sin demands infinite punishment because it is directed against an infinite being.31Charles C. Ryrie, Basic Theology (Wheaton: Victor Books, 1986), 521. Walvoord claims, “If the slightest sin is infinite in its significance, then it also demands infinite punishment as a divine judgment.” John F. Walvoord, William V. Crockett, Zachary J. Hayes, and Clark H. Pinnock, Four Views on Hell. (Grand Rapids: Zondervan, 1996), 14. Cottrell states that on the cross Jesus “suffered the equivalent of eternity in hell for every sinner.” Jack Cottrell, The Faith Once for All (Joplin, Missouri: College Press), 265. One advocate states, “God has given the wicked resurrection bodies so that they cannot die.”32John Gerstner, Repent or Perish (Ligonier, Penna: Soli Deo Gloria, 1990), 140. Emphasis original. Isaiah 66:24 is interpreted in terms of eternal torment.33Yarbrough refers to Isaiah 66:24 without explanation, as thought it were obvious that these corpses were conscious. Robert W. Yarbrough, Is Hell for Real or Does Everyone Go to Heaven? (Grand Rapids: Zondervan, 2004), 30. Another eloquent proponent claims Paul “teaches most directly about hell in 2 Thessalonians.”34Christopher W. Morgan, ed., Hell Under Fire: Modern Scholarship Reinvents Eternal Punishment (Grand Rapids: Zondervan, 2007), 39. Second Thessalonians 1:7-9 refers to the Lord’s coming, fire, vengeance, destruction, and banishment. Several writers assert that backing away from a view of hell that includes eternal torment is a cowardly capitulation to peer pressure and political correctness.35Brian Jones, Hell is Real (But I Hate to Admit It!) (Colorado Springs: David C. Cook, 2011), 49. We are called not to decide which parts of the Bible we find palatable, but to take an uncompromising stand on the word of God. Interestingly, a number of traditionalists deemphasize hell by suggesting that the number of souls actually consigned there is small.36E.g. William G. T. Shedd, The Doctrine of Endless Punishment: Its Historical, Biblical and Rational Defense (New York: Charles Scribner’s Sons, 1886). Friedrich Schleiermacher (1768–1834) was the first influential theologian since the Patristic period to consider universalism. Hell, he reasoned, should be reformative—a process. Many have followed in his train.38Friedrich Schleiermacher, The Christian Faith, tr. of 2nd German ed. 1830 (Edinburgh: T&R Clark, 1989), 714-715. Søren Kierkegaard (1813-1855) doubted traditional concept too on the basis of his profound faith in saving power of Christ. Jörgen Moltmann – restoration of all things. Jörgen Moltmann expected the ultimate restoration of all things. Jörgen Moltmann, The Coming of God: Christian Eschatology (London: SCM, 1996), 250. Hans Urs von Balthasar (1905-1988) argued that Christ’s descent into hell [sic] makes salvation possible for all. Hans Urs von Balthasar 1988, Dare We Hope ‘That All Men be Saved? with a Short Discourse on Hell (San Francisco, Ignatius Press, 1988). See also Nigel M. de S. Cameron, Universalism and the Doctrine of Hell: Papers Presented at the Fourth Edinburgh Conference on Christian Dogmatics, 1991 (Carlisle, U.K.: Paternoster Press, 1992). Evangelical theologians since the 1960s who have endorsed or seriously contemplated postmortem evangelism (a dead might get a “second chance”) include George Beasley-Murray, Charles Cranfield, Donald Bloesch, Clark Pinnock, Gabriel Fackre, Nigel Wright, George MacDonald, and Thomas Talbott. A great resource for this discussion is Robin A. Parry and Christopher H. Partridge, eds. Universal Salvation? The Current Debate (Grand Rapids: Eerdmans, 2003), which has valuable contributions from Thomas Talbott, I. Howard Marshall, Thomas Johnson, Jerry Walls, Eric Reitan, Daniel Strange, John Sanders, Morwenna Ludlow, David Hilborn, and Don Horrocks. Hell is a remedy, “a pedagogic cleansing process.”39Emil Brunner, Eternal Hope (London: Lutterworth, 1954), 183; ISBE, 677-679. To put it less pedantically, “God will put on the screws tighter and tighter until we come to ourselves and are willing to consider the good he has prepared for us.”40Nels Ferré, The Christian Understanding of God (London: SCM, 1951), 230. There are variants of universalism, like the idea that although everyone can expect a postmortem chance to respond to the truth, those who persist in rejecting God will be destroyed.41Thomas Johnson, in Robin A. Parry and Christopher H. Partridge, eds. Universal Salvation? The Current Debate (Grand Rapids: Eerdmans, 2003), 75-102. Sharon Baker holds that in the fire (which is God’s very presence), we have a choice to repent and be purified or to be consumed. This combines universalism with annihilationism.42Sharon L. Baker, Razing Hell: Rethinking Everything You’ve Been Taught About God’s Words about Judgment (Louisville: Westminster John Knox Press, 2010), 115-117, 122, 141. For a similar case, Jon Noe, Hell Yes / Hell No (Indianapolis: East2West Press, 2011), 125. Sharon Baker undergirds her position—that the fire of God’s presence purifies—by an argument that slips past readers who have not been trained in Greek. She makes a connection between the word for sulfur, theeion, and the word for God, theos (p.143). But theeion comes from a different root than theos and the associated adjective, theios/theion. “While we were still enemies of God, as opponents, still steeped in our sin, still unrepentant, deserving nothing but evil in return for our rebellion (retributive justice), God reached out to reconcile us through Jesus (restorative justice).” Why may he not do so after death? “How does eternal damnation, burning forever in unquenchable fire, redeem and restore?”43Sharon L. Baker, Razing Hell: Rethinking Everything You’ve Been Taught About God’s Words about Judgment (Louisville: Westminster John Knox Press, 2010), 93,17. Baker claims that viewing God as violent feeds our own violence and reluctance to forgive and that in the traditional view the lost become scapegoats. She seems to ignore the biblical point of no return which one can reach even in this life (Hebrews 6:4-6, 10:26-31, etc). While she admits that unquenchable fire would naturally annihilate body and soul (Matthew 3:12, 10:28), she tries to find a way around this. Razing Hell, 38, 47; 66; 143. God’s goal of restoration (apokatastasis, as we discussed in chapter 6) is broader than human salvation; he purposes to restore the entire cosmos. Universalism has been recently considered by Rob Bell (endorsed by Eugene Peterson), founder of Mars Hill Bible Church. Even if we die unprepared, we may be purified by “flames in heaven” so that “we can actually handle heaven.” God is able to provide “endless opportunities in an endless amount of time for people to say yes to God. As long as it takes, in other words.” Bell stops short of committing himself, but it seems fair to call him a quasi universalist. “Renewal and return cause God’s greatness to shine through the universe; never-ending punishment doesn’t.”44Rob Bell, Love Wins: A Book About Heaven, Hell, and the Fate of Every Person Who Ever Lived (New York: HarperOne, 2011), 50, 106-107. 108. The book has been heavily criticized by Mark Galli, senior managing editor of Christianity Today,45Mark Galli, God Wins: Heaven, Hell, and Why the Good News is Better than Love Wins (Tyndale 2011). and addressed, among others, by Christian speaker and writer Francis Chan.46Francis Chan and Preston Sprinkle, Erasing Hell: What God Said About Eternity, and The Things We Made Up (Colorado Springs: David C. Cook, 2011). Brian McLaren, prominent leader in the emergent church movement, says “we need to have this conversation.”47Brian McLaren, The Last Word and the Word after That (San Francisco: Jossey-Bass, 2005). With so many big names in the conversation, perhaps we should respond to universalism with more than a yawn. Its position feels compelling to many, especially among the younger generation. Right or wrong, its stance on hell is perceived as more reasonable (less barbaric) than the traditional view, and its proponents more gentle and winsome—qualities all who love the Lord certainly appreciate. Annihilation does not strike at the heart of the gospel or even deny any major Christian belief; it is simply a reinterpretation of hell. More importantly, its harsh condemnation by a few fundamentalists should not deter Christians from accepting one another equally as believers in the gospel of Jesus Christ in spite of differences of opinion about the nature of hell. Contrary to what some fundamentalist critics have charged, annihilationism is not tantamount to universalism or apokatastasis. It is simply a minority view of the nature of hell, not a denial of hell.51Roger E. Olson, On the Mosaic of Christian Belief: Twenty Centuries of Unity & Diversity (Downers Grove: InterVarsity, 2002), 329. Fudge says “The destructive process will include distress (Rom. 2:9), fury (Rom. 2:8), tribulation (Rom. 2:9) and God’s wrath (Rom. 2:8; 1 Thess. 1:10, 5:9). No one should think that the wicked simply go quietly asleep. This is not an easy demise. The second death is not a peaceful death.”52Edward William Fudge, Hell: A Final Word: The Surprising Truths I Found in the Bible (Abilene: Leafwood Publishers, 2012), 128. Another notes: “While John baptized in water, a symbol of the eschatological judgment and purification, the one to come…would purify the righteous and burn up the unrighteous.”53M. Eugene Boring, in Matthew: The New Interpreter’s Bible VIII, Leander E. Keck, ed. (Nashville Abingdon 1994), 158. Similarly, Ulrich Luz, Professor of New Testament Studies at the University of Bern, writes “The punishment for the wicked consists in their complete destruction, body and soul. Ulrich Luz, Matthew 8-20: A Commentary 101 – Trans James E. Crouch. Hermeneia. Minneapolis: Fortress, 2001. In Galatians 1:8-9, where false teachers are cursed, Paul has in mind their utter destruction. Greek anathema translates the Hebrew herem (Deuteronomy 7:26; Joshua 6:17-18; 7:12). Anathema and herem refer to destruction. Thus the onus is on those who assign a metaphorical meaning to words like kill, destroy, consume.54Paul’s language on the destruction of the soul is identical to Plato’s (Phaedo 115b-118a). The difference is that Plato believed the soul to be indestructible; Paul did not. A belief in conditionalism is not based on emotion, although one’s view of God—his justice, love, and essential goodness—is no doubt a factor in the types of ultimate scenarios one can tolerate. John Stott famously told the evangelical world, “I find the concept [of eternal conscious torment] intolerable, and do not understand how people can live with it without cauterizing their feelings or cracking under the strain.”55Emotionally, I find the concept [of eternal torment] intolerable and do not understand how people can live with it without either cauterizing their feelings or cracking under the strain. But our emotions are a fluctuating, unreliable guide to truth and must not be exalted to the place of supreme authority in determining it. As a committed Evangelical, my question must be-and is-not what my heart tells me, but what does God’s word say? And in order to answer this question, we need to survey the Biblical material afresh and to open our minds (not just our hearts) to the possibility that Scripture points in the direction of annihilationism, and that ‘eternal conscious torment’ is a tradition which has to yield to the supreme authority of Scripture.” John Stott and David L. Edwards, Evangelical Essentials: A Liberal-Evangelical Dialogue (Downers Grove: InterVarsity, 1988), 314-315. In response, biblical scholar F.F. Bruce wrote to him, “Annihilation is certainly an acceptable interpretation of the relevant New Testament passages…For myself, I remain agnostic. Eternal conscious torment is incompatible with the revealed character of God.”56F. F. Bruce, personal letter to John Stott. Quoted by Timothy Dudley-Smith, John Stott: A Global Ministry (Downers Grove: InterVarsity, 1999), 354 Professor Richard Bauckham of the University of Cambridge is just one of many living scholars standing for the conditionalist view.57See Richard Bauckham and Trevor Hart, Hope against Hope: Christian Eschatology at the Turn of the Millennium (Grand Rapids: Eerdmans, 1999). Bauckham also writes, “The New Testament uses a variety of different pictures to describe hell: fire is one of them, destruction another, exclusion from the presence of God another. Burning in fire for eternity is the picture of God that got fixed in much traditional teaching about hell as though it were a literal description. The New Testament does not require us to think of hell in this way. Hell is not an eternal chamber of horrors across the way from heaven. Hell is the fate of those who reject God’s love. God’s love cannot compel them to find their fulfillment in God, but there is no other way they can find fulfillment. They exclude themselves from the Source of all being and life.” “Hell,” unpublished essay at http://richardbauckham.co.uk/index.php?page=short=essays. Conditionalism recognizes that in some sense the lost become less than human, like the grumbler who becomes a “grumble” in Lewis’s The Great Divorce. N.T. Wright, who steers a middle course between the traditional view and conditionalism, believes that humans cease to bear the divine image by their own effective choice, yet “still exist in an ex-human state, no longer reflecting their maker in any meaningful sense…” However, he holds this view lightly, admitting speculation: “I am well aware that I have now wandered into territory that no one can claim to have mapped.”58N.T. Wright, Surprised by Hope (New York: HarperOne, 2008), 181-183. Francis Chan leans towards the infinite torment view but concedes there is abundant evidence for annihilation. His comments on 2 Thessalonians 1:9 are apropos: “This verse is not crystal clear, and anyone who thinks it is needs a good dose of interpretive humility.”59Francis Chan and Preston Sprinkle, Erasing Hell: What God Said About Eternity, and The Things We Made Up (Colorado Springs: David C. Cook, 2011), 104. The traditional view has the strong weight of tradition on its side, but that does not exempt its advocates from the need to prove their position. Too often supporters read the conclusion into the texts instead of properly deriving them. One expositor claims that the apostle Paul “teaches most directly about hell in 2 Thessalonians [1:7-10],” where Christ comes at the last day to bring retributive justice, with exclusion from the presence and majesty of the Lord and eternal destruction. Yet this passage can just as easily be read to support the conditionalist view. Another, commenting on Isaiah 66:24, tells us “The worms do not die and the fire is not quenched because these dead people are not dead! They are burning ‘dead’ in torment…One does not have to be a traditionalist to see that ‘carcasses’ which do not die are ever-living ‘carcasses.’?” But he hasn’t proved his point, only asserted it. A third writer comments on Jesus’s use of Isaiah 66:24: “The corpses of those enduring everlasting torment will serve as a vivid reminder to the grievous nature and terrible consequences of rebellion against God. In referring to this verse, Jesus spoke of the Valley of Hinnom (i.e., Gehenna) where a continually burning trash heap pictured the never-ending pain of the lost (Mark 9:47-48).” In fact, Jesus never mentions “never-ending pain,” which is read into the text. These are common examples of begging the question.60Christopher W. Morgan, ed., Hell Under Fire: Modern Scholarship Reinvents Eternal Punishment (Grand Rapids: Zondervan, 2007), 39; John Gerstner, Repent or Perish (Ligonier, Penna: Soli Deo Gloria, 1990), 122; John MacArthur does the same (offers the reader eisegesis instead of proper exegesis, in The MacArthur Bible Commentary (Nashville: Thomas Nelson, 2005), 843. Robert W. Yarbrough, Is Hell for Real or Does Everyone Go to Heaven? (Grand Rapids: Zondervan, 2004), 30, simply refers to Isaiah 66:24 without any exegesis at all. Expositors of infinite torment commonly fail to interpret the genre of apocalypse. For example, the nonstop burning of Revelation 14:9-12 should be read in the light of Isaiah 34:8-17.61Jim McGuiggan, The Book of Revelation (Fort Worth: Star Bible Publications, 1976), 219. We have already discussed the limitations of Revelation 14 and 20 (and the rest of the Apocalypse) for deriving doctrine about the afterlife. There is no need to literalize the richly symbolic apocalyptic metaphors. Advocates of the traditional view, discussing human sin, speak of “the infinity of the evil.” This concept seems to be an import from theology or philosophy rather than an explicit teaching in the relevant texts themselves. Sinners are “always infinitely guilty of what one has done; the sentence never overtakes the crime.”62John Gerstner, Repent or Perish (Ligonier, Penna: Soli Deo Gloria, 1990), 153, 129-131. Several advocates reason that in hell, sinners continue to hate God, accruing to themselves more guilt and punishment continually.63William Lane Craig, On Guard: Defending Your Faith with Reason and Precision (Colorado Springs: David C. Cook, 2010), 273. Shedd (op. cit.) makes the same point. Here’s an interesting thought. If the wicked are able to heap up more punishment, on the basis of postmortem choices to sin, them there is an implicit admission by the proponents of this idea that even in hell the lost have some influence over their fate. If this is so, and sin affects their state (keeping them in hell), then why is there no possibility of a change of heart? Some have backed away from Anselm’s argument, which relies on a sense of feudal justice, but others try to salvage it. “Culpability is determined largely by the identity of the victim,” writes one author, who abandons Anselm’s sequence of slave, commoner, nobleman, and God, and in its place talks about ants, flies, frogs, squirrels, puppies, humans, and the “infinite and holy God.”64Michael E. Wittmer, Christ Alone: An Evangelical Response to Rob Bell’s Love Wins (Grand Rapids: Edenridge Press, 2011), 128-129. Of course one who kills a human should be punished, and no one would be charged with murder in the case of swatting a fly. But no one kills God (in the sense of bringing his life to an end), and “offended justice” hardly relates to squirrels and puppies, so the argument fails. Further, regardless of the degree of pain felt by the impenitent, still their “total” misery is infinite. Every sinner thus receives the same punishment—violating the principle of Luke 12:47-48 and calling into question God’s fairness. “Infinite hell protects society from lawlessness. Fear of hellfire is a powerful deterrent against sin”—or at least that is commonly said. Even if there is no hell, it is still better for society if we preach it. But is that true? Has anyone demonstrated a positive correlation between belief in hell and virtue? This argument was asserted by the educated upper class, who often merely pretended to believe in hell for the greater social good. But if a belief in hell did lead to virtue, criminals who believed in hell should have been more virtuous than their social superiors who did not. We do not determine doctrine based on how we feel about God’s righteous standards (Romans 9:20), but one aspect of the traditional position elicits a strong emotional response and deserves an answer. “How could heaven be heaven if just off the back porch of heaven is a fiery pit of screaming souls?”65F. LaGard Smith, After Life: A Glimpse of Eternity Beyond Death’s Door (Nashville: Cotswold Publishing, 2003), 180. The first conditionalists I spoke with (some 30 years ago) asked, “What kind of a father rewards the good children upstairs, while down in the basement he is torturing the naughty ones forever?” If we predicate such a sternness of God and it turns out not to be true, would we not be impugning his character? It makes sense that God punishes sin (see chapter 14), but to torment someone infinitely? On the other hand, we must agree with Miroslav Volf that, “With some notable exceptions, especially in recent centuries, most Christians have thought that the self-giving character of God’s love is not incompatible with the reality of eternal [infinite] punishment of those who refused to be redeemed by God’s love. That punishment has itself been seen as a mode of God’s love…a difficult thought that underscores the fundamental importance for Christians of the conviction that God is love.”66Miroslav Volf, Allah: A Christian Response (New York: HarperOne, 2011), 297n29. Perhaps most believers’ natural repulsion at the thought of hell is more culturally conditioned than we may realize. In a related thought, Yarbrough (who holds the traditional view) writes, “With Stott, I affirm that eternal conscious torment strains our sense of justice. It weighs heavily on our emotions. But so does the daily news. Can anyone take it in?…Can anyone make sense of things to…the bereaved of suicide bombers in Israel? To hapless victims of a Western serial killer? To any of their moms and dads?…I cannot make sense of any of it, and I am suspicious of anyone who says they can—anyone, that is, except Christ.”67Robert W. Yarbrough, Is Hell for Real or Does Everyone Go to Heaven? (Grand Rapids: Zondervan, 2004), 36. In other words, regardless of whether hell lasts forever, we still have to process horrific pain and suffering in our world. There are coping mechanisms that allow adherents of infinite torment to still affirm the love of God. The weight of tradition is firmly on the traditionalist side. Its long pedigree, from the second half of the second century to the twentieth, is impressive indeed. Millions of godly persons believe it. The position may be right, but it is hardly a slam dunk. The title of a recent book in favor of infinite punishment is Is Hell Real or Does Everyone Go to Heaven?68Timothy Keller, R. Albert Mohler, Jr., J. I. Packer, and Robert W. Yarbrough, Is Hell for Real or Does Everyone Go to Heaven? (Grand Rapids: Zondervan, 2004). But this presents a false choice. Most conditionalists believe in hell, just not in its infinity. And quite a few universalists accept hellfire as God’s means of purifying and saving everyone. Let us now assess the two main rivals to infinite punishment. Universalism, like Calvinism, underscores the success of God’s sovereign plan. He will save whom he will—which in the case of universalism is all the world. The view also highlights God’s wisdom and love. He is not willing that anyone be lost, and he takes no pleasure in the death of the wicked (Ezekiel 18:32). And yet the rest of Ezekiel 18 makes clear that judgment and death are realities. They will not be bypassed by God’s goodness, only by repentance and faith. There are several verses that seem to support universalism, though it is quickly seen that they have been wrested from their contexts. The universalist slant on 1 Timothy 2:4 is belied by 1 Timothy 4:16. Second Peter 3:9 is contradicted by 2 Peter 2:20-22. Besides, many passages seem incapable of sustaining a universalist interpretation, such as Matthew 12:32; Romans 9:3-4; 10:1. Robert Mackintosh, a prominent universalist of the last century, admits that universalism cannot challenge the traditional doctrine on exegetical grounds.69James Hastings, ed., Dictionary of Christ and the Gospels (Edinburgh: T&T Clark, 1908), 2:785. For a more contemporary refutation of universalism, see Jerry L. Walls, “Why No Classical Theist, Let Alone Orthodox Christian, Should Ever Be a Compatibilist,” Philosophia Christi, Vol.13, No.1, 2011 (La Mirada, California: Biola University), 105-124. As we saw in chapter 7, the “gnashing of teeth” apparently rules out postmortem conversion. The damned are depicted as angry, not remorseful. In fact, nearly all commentators miss the biblical meaning of gnashing. If the lost are defiant, they can hardly turn to God. If the devil and his angels have for ages past chosen to resist God, despite the overwhelming evidence that they are on the losing side (?? ?James 2:19; Revelation 12:12), then there is no strong reason for believing that even with eons of time to consider one’s fate, any would actually change sides. Universalists ignore the “point of no return” often found in Scripture (Proverbs 29:1; Hebrews 6:4-6; 10:26-31; 2 Peter 2:20-22). Even if we grant the hope for postmortem salvation, not everybody will make it. The Bible speaks of a line people can cross, after which there is no repentance or even a desire for repentance. The universalist claim that apokatastasis (“restoration,” referred to in Acts 3:21) applies to all the lost does not work. The Greek word is found in Jeremiah 16:15 in connection with the restoration of the land of Israel (also in Josephus Antiquities 11.63), in medical texts, legal texts (referring to hostages and to property), and political writings (referring to order). The word never, however, refers to the restoration of persons—only of things.70TDNT, I: 387-393 (apokathistemi, apokatastasis). As Kreeft and Tacelli have pointed out, universalism takes away free will.71Peter Kreeft and Ronald K. Tacelli, Handbook of Christian Apologetics: Hundreds of Answers to Crucial Questions (Downers Grove, Illinois: InterVarsity Press, 1994), 284. As philosopher Jerry Walls of Houston Baptist University makes an important point about free will. If both free will and determinism are compatible—as many theologians suppose, especially those in the predestinarian camp—then it is difficult to understand why God would not have set up the world such that eventually all would choose to embrace his will. Jerry L. Walls, “Why No Classical Theist, Let Alone Orthodox Christian, Should Ever Be a Compatibilist,” Philosophia Christi, Vol. 13, No. 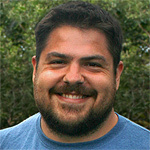 1, 2011 (La Mirada, California: Biola University), 102. God always gets his way. Unless free will is only a sham, this is a serious problem. J.I. Packer’s critique is insightful: “Its sunny optimism may be reassuring and comfortable, but it wholly misses the tragic quality of human sin, human unbelief, and human death set forth in the Bible…It needs to be actively opposed so that the world may know the truth about the judgment, the love, and the salvation of our God.”72J. I. Packer, http://www.billmuehlenberg.com/2011/03/12/against-universalism/. Two sorts of universalism run through both testaments. First, God desires that Gentiles (outsiders to the Jewish covenant) be included among the people of God (Psalm 67:2-5; 117:1; Isaiah 49:6; Zechariah 8:20-23). Second, God desires the welfare of all mankind, though he does not coerce them to respond to his offer of salvation. God’s care extends beyond the elect. In this respect, universalism outperforms Calvinism. We commend the universalists for their vision that ultimately God will be all in all and that sin and the dominion of darkness will be done away with. But not many serious Bible students will be won over given the thinness of the scriptural case. The conditionalist works well with the biblical doctrine of the soul. The soul is not innately immortal; eternal life is a gift only to those in a right relationship with God. Traditionalists might counter that the resurrection body is imperishable (1 Corinthians 15:42). However, Paul is dealing with the resurrection of the righteous, who “bear the image of the heavenly man” (1 Corinthians 15:49). Nothing is said about the lost becoming immortal. Universalists and traditionalists may appreciate the mortality of the soul, but the best fit is with the conditionalist interpretation. The most common objection to the conditionalist view is that eternal means “eternal.” If eternal is a synonym for infinite, the objection is sustained. But in chapter 2 we explored the meanings of eternity and infinity and concluded that the common understanding of eternal is too narrow. Revelation 14:9-12 seems to support infinite torment. As an apocalyptic passage, however, it will not bear a literal interpretation.73Moreover, as we have seen, there is no reason “day or night” need be a literal phrase. See 1 Thessalonians 2:9, 3:10; Isaiah 34:10, Revelation 4:8, 7:15, 12:10, 20:10. Further, conditionalists respond that the entire traditional view hinges on two highly figurative chapters in a single book of the Bible (Revelation 14 and 20). Those on the traditionalist side affirm that unquenchable fire means that not only the fire but also those cast into it must always burn. But Homer uses the same phrase when the Trojans burned the Grecian ships,74Homer, Iliad 16.123,194; 1.599. as does Eusebius when speaking of the martyrs who have been reduced to ashes.75E.g. Eusebius, History of the Church 6:41. In neither case does the phrase involve conflagration in perpetuity. Pompeii comes to mind, and especially the images of those unfortunate souls incinerated in the volcanic eruption of AD 79. They had no hope of survival in such ferocious heat. Whatever goes through unquenchable fire will be burned up. This implies destruction. The apocalyptic passages become the lens through which eternal punishment is understood as infinite torture. In Matthew 25:46, eternal punishment is parallel to eternal life, so the lost must be in torment as long as the saved are in heaven. If they were merely snuffed out, how would this be an “eternal” punishment? Wouldn’t they be getting off easy? Herman Witsius (1636–1708), a shaper of seventeenth-century Reformed orthodoxy (and a traditionalist), asked, “May it not, in its measure, be reckoned an infinite punishment, should God please to doom man, who was by nature a candidate for immortality, to total annihilation, from whence he should never be suffered to return to life?” Witsius admitted that sinners deserve punishment infinite in measure, but not infinite in intensity. Annihilation would deprive sinners of the enjoyment of infinite good (God) forever. He admitted that whether the sinner would exist forever or be annihilated, “I own that I am ignorant.”76Herman Witsius, The Economy of the Covenants Between God and Man 1.5.XLII. Witsius was professor of divinity at the Universities of Franeker, Utrecht and Leiden. So respected was Witsius, J.I. Packer suggested that Witsius’s writings have “landmark status as summing up a whole era” of Reformed theology.77J. I. Packer, http://gospelpedlar.com/articles/Bible/cov_theo.html, last accessed 18 September 2012. Therefore we should take note of his openness to a broader definition of eternal than many Bible-believers hold today. Actually, Jonathan Edwards made the same point as Witsius, as did Augustine before him: “Where a very serious crime is punished by death and the execution of the sentence takes only a minute, no laws consider that minute as the measure of the punishment, but rather the fact that the criminal is forever removed from the community of the living.”78Jonathan Edwards, “Concerning the Endless Punishment of Those who Die Impenitent,” in The Works of Jonathan Edwards, rev. Edward Hickman, 2 vols. (Carlisle, Penna: Banner of Truth Trust, n.d.), 2:524; Augustine, City of God, Book 21, in The Fathers of the Church: A New Translation (1954), 169-170. The conditionalist view takes sin seriously (a strength of the infinite torment view) but also embraces the complete obliteration of evil in the universe (a strength of universalism). No more incongruous “concentration camp” in the middle of heaven. The Lord will not be angry forever (Psalm 103:9; Isaiah 57:16). Like universalism, conditionalism deserves a better hearing than it has received. Unlike universalism, conditionalism has ample scriptural support. As we have seen, diversity of opinion about hell has characterized Christianity since the second century. My goal is not to vindicate one particular view, but to present them all so that they may be evaluated in the light of Scripture. Five highly respected scholars will now bring our discussion to a close with apt words of counsel. Based on all my work on the theology and ethics of the NT…if I were a betting man (which I am not), I would bet that probably the annihilationist view is closer to the truth [than the traditional view], based on the revealed character of God in Christ as both just and loving. But I don’t know that I can be sure about this when the evidence is so imagaic and so metaphorical…I have to be honest and say either conclusion is possible, and equally orthodox…Equally orthodox Christians can agree to disagree and should not question each other’s orthodoxy because of it.79Ben Witherington III, http://www.patheos.com/blogs/bibleandculture/2011/03/19/and-now-the-case-for-permanent-residence-in-hell, last accessed 17 September 2012. John Wenham holds the conditional view. He admits, “The temptation to twist what might be quite plain statements of Scripture is intense. It is the ideal situation for unconscious rationalizing.”80John Wenham, The Goodness of God (Downers Grove: Intervarsity, 1974), 27 (Nevertheless, he believed he was led by careful Bible study to the conditionalist position.) This degree of introspection in a Christian thinker is rare. Wenham was aware of his “lenses,” and he reminds us that none of us are as objective as we might like to think. J.I. Packer holds the infinite torment view. He shows the spirit of respect that is essential for meaningful dialogue on this sensitive subject. “It is distasteful to argue in print against honored fellow evangelicals, some of whom are good friends and others of whom…are now with Christ, so I stop right here.”81“Evangelical Annihilation in Review,” 37-51, Reformed Review 6 (1997), 43,47-48. C.S. Lewis adheres to the traditional view and believes in purgatory. Early church historian David Bercot supports an independent view. He is loath to believe in eternal torment, but in the final analysis, he is agnostic. “What happens?” says Bercot? “I don’t know and you don’t either.”83David W. Bercot, The Early Christians and Three Views of Hell (CD) (Amberson, Pennsylvania: Scroll Publishing, 2012). The three basic positions on hell are infinite torment, eventual annihilation, and universalism. All three were present in the early church. One’s position was not made a test of fellowship until the sixth century. Infinite torment has the support of some 1600 years of tradition. Annihilation has biblical support and has become much more prominent in the last few decades.84My first work on the conditionalist view was Douglas Jacoby, “Heaven and Hell: Terminal Punishment” (Unpublished paper, Stockholm, 1991), available at http://www.douglasjacoby.com. Universalism is the most difficult of the three positions to support biblically. Am I looking forward to heaven? Are my concepts of heaven and hell static or dynamic? Have I made up my mind long ago, or do I still expect to learn more from the Scriptures? How does my understanding of hell affect my concept of God? Do I still have a sense of wonder at these eternal mysteries? How often do I talk to others about the next world? Do I generally keep the gospel message to myself, or do I allow the Lord to use me as a conduit for his grace? 1. ￪ The scholars were Jerry Walls (representing the traditional view of infinite torment), Thomas Talbott (espousing universalism) and Edward Fudge (conditionalism). 12 June 2012, Lipscomb University, Nashville. 2. ￪ N.T. scholar Craig Keener is ambivalent: “Mark 9:48 may well be interpreted as destruction (annihilation), but Judith 16:17 (second century BC) had already taken it in the sense of eternal torment, so there is some cause for thinking Jesus may have believed in infinite punishment.” Craig S Keener, The IVP Bible Background Commentary: New Testament (Downers Grove, Illinois: InterVarsity Press, 1993), 160. 3. ￪ Augustine, Enchiridion 111. 4. ￪ Baillie, among others, draws out the implication. John M. Baillie, And The Life Everlasting (London: Oxford University Press 1934), 244. John Gerstner, Repent or Perish (Ligonier, Penna: Soli Deo Gloria, 1990), 53, is an example of a modern teacher who still believes that Satan will forever rule in hell. 5. ￪ Thomas Talbott, in The Inescapable Love of God (Boca Raton, Florida: Universal Publishers, 1999), Starts with “God is love” and assumes actions of God must be loving. Talbott makes a further, intriguing point (especially for those in the Calvinist camp). “And if it is not heretical for Calvinists to believe that all passive recipients of God’s electing love will all be saved in the end, why should it be heretical for universalists to believe this as well?” Those who believe in predestination make assumptions similar to the universalists’. Even if we don’t want to be saved, says the Calvinist, God’s grace will be irresistible. If it is his will, we will be saved. Talbott’s reasoning is sound, although it will not carry much weight with Arminians. “Universalism, Calvinism, and Arminianism: Some Preliminary Reflections,” 5. This paper may be easily found on the Web, e.g. http://www.willamette.edu/~ttalbott/prolegomenon.shtml. 6. ￪ Robin A. Parry and Christopher H. Partridge, eds. Universal Salvation? The Current Debate (Grand Rapids: Eerdmans, 2003), xxiv. 7. ￪ There are varieties of universalism. Secular universalism holds that everyone will make it in the end. Christian universalism holds to the gospel truth that all who are saved are justified through Christ. This further breaks down into two types, salvation through responding to gospel (sooner or later everyone will say “yes’), and salvation by implicitly responding to gospel (people may be saved through Jesus Christ even though they are unaware of the fact, for example a devout Hindu or a pious Buddhist). Furthermore, some universalists construe hellfire as purifying; being saved may be quite painful, but still all mankind will make it in the end. 8. ￪ Comment by Karl Rahner, cited in in M. Ludlow, Universal Salvation: Eschatology in the Thought of Gregory of Nyssa and Karl Rahner Oxford: Oxford University Press, 2000), 15. Prominent evangelical universalists today include Sharon Baker, Jan Bonda, Robin Parry, and Thomas Talbott. These stand in sharp contrast to other universalist theologians, like John Hick, Death and Eternal Life (Louisville: Westminster John Knox, 1994); Evil and the God of Love (London: Fontana, 1974). Hick does, however, support a theme that has been taken up by universalists like Talbott: human response to the wooing of divine love. 9. ￪ Edward William Fudge, The Fire That Consumes: A Biblical and Historical Study of the Doctrine of Final Punishment, 3rd edition (Eugene, Oregon: Cascade Books), 2011, 122. 10. ￪ Stanley J. Grenz, Theology for the Community of God (Grand Rapids: Eerdmans, 1994), 638; David W. Bercot, The Early Christians and Three Views of Hell (CD) (Amberson, Pennsylvania: Scroll Publishing, 2012). 11. ￪ James Charlesworth (at that time a visiting professor from Duke University), “Pseudepigrapha, Early Judaism, and Christian Origins.” Kings College London, 8 March 1984. Currently Charlesworth serves as director of the Dead Sea Scrolls Project at Princeton Theological Seminary. 12. ￪ Judith 16:17; 1 Enoch 27:2, 53:1-3, 91:9; 2 Enoch 40:12-13, 10:1-6; Sibylline Oracles 52:290-310; 2 Baruch 44;12-15,51-56; Testament of the Twelve Patriarchs Reuben 5:5, Gad 7:5, Benjamin 7:5; Jubilees 36:10; 4 Maccabees 12:12. 13. ￪ In Homer’s Odyssey XI, 575 Tantalus, Sisyphus, Tityus, and Ixion are doomed to endless punishment in Tartarus. Virgil’s Aeneid also contains the idea. 14. ￪ Psalms of Solomon 3:11-12; Sibylline Oracles 4:175-185; 4 Ezra 7:61; Pseudo-Philo 16:3. Thus the Pseudepigrapha are divided. Technically Judith is not included in the list, but we list it because it belongs with the other references. The term Pseudepigrapha refers to Jewish works of pseudonymous authorship. They were normally attributed to great figures of faith. None of these documents were accepted as canonical, with the lone exception of 1 Enoch, which is part of the O.T. canon of the Ethiopic Orthodox Church. 15. ￪ For the usual sense of worms as agents of decomposition, “For when a man is dead, he shall inherit creeping things, beasts, and worms. Moths and worms shall have him to heritage, and a bold man shall be taken away” (Ecclesiasticus 10:11, 19:3). 16. ￪ “Ge-hinnom” in The Jewish Encyclopedia, vol 5, cols 581-583, 1925. 17. ￪ Alberdina Houtman and Magda Misset-van de Weg, “The Fate of the Wicked: Second Death in Early Jewish and Christian Texts,” in Empsychoi Logoi—Religious Innovations in Antiquity: Studies in Honour of Pieter Willem van der Horst, Ed. A. Houtman, A. de Jong, and M. van de Weg, 405-424. Ancient Judaism and Early Christianity 73 (Leiden: Brill, 2008). The authors conclude also that the “second death” in Revelation was possibly inspired by Matthew 10:28; Luke 12:4-5; annihilation was presupposed (p.410). 18. ￪ Targums Onqelos and Jonathan, on Deuteronomy 33:6; Isaiah 22:14, 65:6,15; Jeremiah 51:39,57. 19. ￪ Craig S Keener, The IVP Bible Background Commentary: New Testament (Downers Grove, Illinois: InterVarsity Press, 1993), 58. 20. ￪ Francis Chan and Preston Sprinkle, Erasing Hell: What God Said About Eternity, and The Things We Made Up (Colorado Springs: David C. Cook, 2011), 56. 21. ￪ A typical passage is Tertullian, The Resurrection of the Flesh, 35. 22. ￪ Clement of Alexandria, Paedogogus 1:8; Protrepticus 9; Stromata 6:6; Origen De Principiis 1.6.2-4; Contra Celsum 5.15, 6:25. 23. ￪ Origen In Ezech. Hom. 1,2; Gregory of Nyssa, Oratio Catechetica 26. 24. ￪ Here are the relevant references in the extrabiblical Christian literature of the first 150 years: Didache1:1, 16:5; 1 Clement 9:1 (note, 2 Clement 17:6-7, which is normally not attributed to Clement, and dates from c.160 AD, shows the infinite torment view); Ignatius Ephesians 11:1, 16:2; Smyrnaeans 6:1; Magnesians 5:1; Trallians 2:1; Polycarp Philippians 7:1; Martyrdom of Polycarp 2:3, 11:2; Barnabas 4:12, 20:1, 21:1, 21:3; Diognetus 10:7-8; Justin First Apology 12,17,45; 2 Apolology 1,8,9. 25. ￪ David W. Bercot, The Early Christians and Three Views of Hell (CD) (Amberson, Pennsylvania: Scroll Publishing, 2012). 26. ￪ John F. Walvoord, William V. Crockett, Zachary J. Hayes, and Clark H. Pinnock, Four Views on Hell (Grand Rapids: Zondervan, 1996), 14. 27. ￪ Through Augustine’s influence Purgatory also became the standard accepted view, as did his doctrine of original sin, which served as an apologetic for infant baptism. In the fourth century the testimony is mixed; by the fifth, the medieval Catholic view of salvation and the afterlife develops rigid contours. 28. ￪ Traditionalist author Harry Buis admits that there was a certain state of fluidity before Augustine. The Doctrine of Universal Punishment (Philadelphia: Presbyterian & Reformed, 1957), 61. 29. ￪ The Council of Constantinople (553); also Fourth Lateran Council (1215), and Vatican I (1870); as well as the words of Pope Innocent IV (1224). 30. ￪ Traditionalists include Beale, Blanchard, Block, Braun, Cottrell, Davies, Dixon, Ferguson, Gerstner, Harmon, Helm, Hodge, Horton, Lucado, Mohler, Moo, Morey, Morgan, Packer, Peterson, Pettegrew, Ryrie, Spurgeon, Strong, Walvoord, and Yarbrough. This list includes professional academics (usually attached to universities) and popular authors. Representative of works supporting infinite torment is John F. Walvoord, William V. Crockett, Zachary J. Hayes, Clark H. Pinnock, (Four Views on Hell. Grand Rapids: Zondervan, 1996). An older title has been resurrected and sold very well in the (predominantly Calvinist) evangelical market. It is William G. T. Shedd, The Doctrine of Endless Punishment: Its Historical, Biblical and Rational Defense (New York: Charles Scribner’s Sons, 1886). 31. ￪ Charles C. Ryrie, Basic Theology (Wheaton: Victor Books, 1986), 521. Walvoord claims, “If the slightest sin is infinite in its significance, then it also demands infinite punishment as a divine judgment.” John F. Walvoord, William V. Crockett, Zachary J. Hayes, and Clark H. Pinnock, Four Views on Hell. (Grand Rapids: Zondervan, 1996), 14. Cottrell states that on the cross Jesus “suffered the equivalent of eternity in hell for every sinner.” Jack Cottrell, The Faith Once for All (Joplin, Missouri: College Press), 265. 32. ￪ John Gerstner, Repent or Perish (Ligonier, Penna: Soli Deo Gloria, 1990), 140. Emphasis original. 33. ￪ Yarbrough refers to Isaiah 66:24 without explanation, as thought it were obvious that these corpses were conscious. Robert W. Yarbrough, Is Hell for Real or Does Everyone Go to Heaven? (Grand Rapids: Zondervan, 2004), 30. 34. ￪ Christopher W. Morgan, ed., Hell Under Fire: Modern Scholarship Reinvents Eternal Punishment (Grand Rapids: Zondervan, 2007), 39. 35. ￪ Brian Jones, Hell is Real (But I Hate to Admit It!) (Colorado Springs: David C. Cook, 2011), 49. 36. ￪ E.g. William G. T. Shedd, The Doctrine of Endless Punishment: Its Historical, Biblical and Rational Defense (New York: Charles Scribner’s Sons, 1886). 37. ￪ Question 29 / http://www.ccel.org/ccel/anonymous/westminster2.i.ii.html. 38. ￪ Friedrich Schleiermacher, The Christian Faith, tr. of 2nd German ed. 1830 (Edinburgh: T&R Clark, 1989), 714-715. Søren Kierkegaard (1813-1855) doubted traditional concept too on the basis of his profound faith in saving power of Christ. Jörgen Moltmann – restoration of all things. Jörgen Moltmann expected the ultimate restoration of all things. Jörgen Moltmann, The Coming of God: Christian Eschatology (London: SCM, 1996), 250. Hans Urs von Balthasar (1905-1988) argued that Christ’s descent into hell [sic] makes salvation possible for all. Hans Urs von Balthasar 1988, Dare We Hope ‘That All Men be Saved? with a Short Discourse on Hell (San Francisco, Ignatius Press, 1988). See also Nigel M. de S. Cameron, Universalism and the Doctrine of Hell: Papers Presented at the Fourth Edinburgh Conference on Christian Dogmatics, 1991 (Carlisle, U.K.: Paternoster Press, 1992). Evangelical theologians since the 1960s who have endorsed or seriously contemplated postmortem evangelism (a dead might get a “second chance”) include George Beasley-Murray, Charles Cranfield, Donald Bloesch, Clark Pinnock, Gabriel Fackre, Nigel Wright, George MacDonald, and Thomas Talbott. A great resource for this discussion is Robin A. Parry and Christopher H. Partridge, eds. Universal Salvation? The Current Debate (Grand Rapids: Eerdmans, 2003), which has valuable contributions from Thomas Talbott, I. Howard Marshall, Thomas Johnson, Jerry Walls, Eric Reitan, Daniel Strange, John Sanders, Morwenna Ludlow, David Hilborn, and Don Horrocks. 39. ￪ Emil Brunner, Eternal Hope (London: Lutterworth, 1954), 183; ISBE, 677-679. 40. ￪ Nels Ferré, The Christian Understanding of God (London: SCM, 1951), 230. 41. ￪ Thomas Johnson, in Robin A. Parry and Christopher H. Partridge, eds. Universal Salvation? The Current Debate (Grand Rapids: Eerdmans, 2003), 75-102. 42. ￪ Sharon L. Baker, Razing Hell: Rethinking Everything You’ve Been Taught About God’s Words about Judgment (Louisville: Westminster John Knox Press, 2010), 115-117, 122, 141. For a similar case, Jon Noe, Hell Yes / Hell No (Indianapolis: East2West Press, 2011), 125. Sharon Baker undergirds her position—that the fire of God’s presence purifies—by an argument that slips past readers who have not been trained in Greek. She makes a connection between the word for sulfur, theeion, and the word for God, theos (p.143). But theeion comes from a different root than theos and the associated adjective, theios/theion. 43. ￪ Sharon L. Baker, Razing Hell: Rethinking Everything You’ve Been Taught About God’s Words about Judgment (Louisville: Westminster John Knox Press, 2010), 93,17. Baker claims that viewing God as violent feeds our own violence and reluctance to forgive and that in the traditional view the lost become scapegoats. She seems to ignore the biblical point of no return which one can reach even in this life (Hebrews 6:4-6, 10:26-31, etc). While she admits that unquenchable fire would naturally annihilate body and soul (Matthew 3:12, 10:28), she tries to find a way around this. Razing Hell, 38, 47; 66; 143. 44. ￪ Rob Bell, Love Wins: A Book About Heaven, Hell, and the Fate of Every Person Who Ever Lived (New York: HarperOne, 2011), 50, 106-107. 108. 45. ￪ Mark Galli, God Wins: Heaven, Hell, and Why the Good News is Better than Love Wins (Tyndale 2011). 46. ￪ Francis Chan and Preston Sprinkle, Erasing Hell: What God Said About Eternity, and The Things We Made Up (Colorado Springs: David C. Cook, 2011). 47. ￪ Brian McLaren, The Last Word and the Word after That (San Francisco: Jossey-Bass, 2005). 48. ￪ Edward William Fudge, The Fire That Consumes: A Biblical and Historical Study of the Doctrine of Final Punishment, 3rd edition (Eugene, Oregon: Cascade Books), 2011. For the slimmer version, read Edward William Fudge, Hell: A Final Word: The Surprising Truths I Found in the Bible (Abilene: Leafwood Publishers, 2012). Also helpful is Edward William Fudge and Robert A. Peterson. Two Views of Hell (Eugene, Oregon: Cascade Books, 2011). For a concise video approach to the topic, http://www.rethinkinghell.com/2012/08/episode-3-the-goodness-of-god-with-john-stackhouse/#more-1450. 49. ￪ Edward William Fudge, The Fire That Consumes: A Biblical and Historical Study of the Doctrine of Final Punishment, 3rd edition (Eugene, Oregon: Cascade Books, 2011), ix, xi, xii. The book was first released in 1982, appeared in a second edition in 1994, and a third in 2011. 50. ￪ Edward William Fudge, The Fire That Consumes: A Biblical and Historical Study of the Doctrine of Final Punishment (Eugene, Oregon: Cascade Books), 2011, 3n17. 51. ￪ Roger E. Olson, On the Mosaic of Christian Belief: Twenty Centuries of Unity & Diversity (Downers Grove: InterVarsity, 2002), 329. 52. ￪ Edward William Fudge, Hell: A Final Word: The Surprising Truths I Found in the Bible (Abilene: Leafwood Publishers, 2012), 128. 53. ￪ M. Eugene Boring, in Matthew: The New Interpreter’s Bible VIII, Leander E. Keck, ed. (Nashville Abingdon 1994), 158. Similarly, Ulrich Luz, Professor of New Testament Studies at the University of Bern, writes “The punishment for the wicked consists in their complete destruction, body and soul. Ulrich Luz, Matthew 8-20: A Commentary 101 – Trans James E. Crouch. Hermeneia. Minneapolis: Fortress, 2001. 54. ￪ Paul’s language on the destruction of the soul is identical to Plato’s (Phaedo 115b-118a). The difference is that Plato believed the soul to be indestructible; Paul did not. 55. ￪ Emotionally, I find the concept [of eternal torment] intolerable and do not understand how people can live with it without either cauterizing their feelings or cracking under the strain. But our emotions are a fluctuating, unreliable guide to truth and must not be exalted to the place of supreme authority in determining it. As a committed Evangelical, my question must be-and is-not what my heart tells me, but what does God’s word say? And in order to answer this question, we need to survey the Biblical material afresh and to open our minds (not just our hearts) to the possibility that Scripture points in the direction of annihilationism, and that ‘eternal conscious torment’ is a tradition which has to yield to the supreme authority of Scripture.” John Stott and David L. Edwards, Evangelical Essentials: A Liberal-Evangelical Dialogue (Downers Grove: InterVarsity, 1988), 314-315. 57. ￪ See Richard Bauckham and Trevor Hart, Hope against Hope: Christian Eschatology at the Turn of the Millennium (Grand Rapids: Eerdmans, 1999). Bauckham also writes, “The New Testament uses a variety of different pictures to describe hell: fire is one of them, destruction another, exclusion from the presence of God another. Burning in fire for eternity is the picture of God that got fixed in much traditional teaching about hell as though it were a literal description. The New Testament does not require us to think of hell in this way. Hell is not an eternal chamber of horrors across the way from heaven. Hell is the fate of those who reject God’s love. God’s love cannot compel them to find their fulfillment in God, but there is no other way they can find fulfillment. They exclude themselves from the Source of all being and life.” “Hell,” unpublished essay at http://richardbauckham.co.uk/index.php?page=short=essays. 58. ￪ N.T. Wright, Surprised by Hope (New York: HarperOne, 2008), 181-183. 59. ￪ Francis Chan and Preston Sprinkle, Erasing Hell: What God Said About Eternity, and The Things We Made Up (Colorado Springs: David C. Cook, 2011), 104. 60. ￪ Christopher W. Morgan, ed., Hell Under Fire: Modern Scholarship Reinvents Eternal Punishment (Grand Rapids: Zondervan, 2007), 39; John Gerstner, Repent or Perish (Ligonier, Penna: Soli Deo Gloria, 1990), 122; John MacArthur does the same (offers the reader eisegesis instead of proper exegesis, in The MacArthur Bible Commentary (Nashville: Thomas Nelson, 2005), 843. Robert W. Yarbrough, Is Hell for Real or Does Everyone Go to Heaven? (Grand Rapids: Zondervan, 2004), 30, simply refers to Isaiah 66:24 without any exegesis at all. 61. ￪ Jim McGuiggan, The Book of Revelation (Fort Worth: Star Bible Publications, 1976), 219. 62. ￪ John Gerstner, Repent or Perish (Ligonier, Penna: Soli Deo Gloria, 1990), 153, 129-131. 63. ￪ William Lane Craig, On Guard: Defending Your Faith with Reason and Precision (Colorado Springs: David C. Cook, 2010), 273. Shedd (op. cit.) makes the same point. Here’s an interesting thought. If the wicked are able to heap up more punishment, on the basis of postmortem choices to sin, them there is an implicit admission by the proponents of this idea that even in hell the lost have some influence over their fate. If this is so, and sin affects their state (keeping them in hell), then why is there no possibility of a change of heart? 64. ￪ Michael E. Wittmer, Christ Alone: An Evangelical Response to Rob Bell’s Love Wins (Grand Rapids: Edenridge Press, 2011), 128-129. 65. ￪ F. LaGard Smith, After Life: A Glimpse of Eternity Beyond Death’s Door (Nashville: Cotswold Publishing, 2003), 180. 66. ￪ Miroslav Volf, Allah: A Christian Response (New York: HarperOne, 2011), 297n29. 67. ￪ Robert W. Yarbrough, Is Hell for Real or Does Everyone Go to Heaven? (Grand Rapids: Zondervan, 2004), 36. 68. ￪ Timothy Keller, R. Albert Mohler, Jr., J. I. Packer, and Robert W. Yarbrough, Is Hell for Real or Does Everyone Go to Heaven? (Grand Rapids: Zondervan, 2004). 69. ￪ James Hastings, ed., Dictionary of Christ and the Gospels (Edinburgh: T&T Clark, 1908), 2:785. For a more contemporary refutation of universalism, see Jerry L. Walls, “Why No Classical Theist, Let Alone Orthodox Christian, Should Ever Be a Compatibilist,” Philosophia Christi, Vol.13, No.1, 2011 (La Mirada, California: Biola University), 105-124. 70. ￪ TDNT, I: 387-393 (apokathistemi, apokatastasis). 71. ￪ Peter Kreeft and Ronald K. Tacelli, Handbook of Christian Apologetics: Hundreds of Answers to Crucial Questions (Downers Grove, Illinois: InterVarsity Press, 1994), 284. As philosopher Jerry Walls of Houston Baptist University makes an important point about free will. If both free will and determinism are compatible—as many theologians suppose, especially those in the predestinarian camp—then it is difficult to understand why God would not have set up the world such that eventually all would choose to embrace his will. Jerry L. Walls, “Why No Classical Theist, Let Alone Orthodox Christian, Should Ever Be a Compatibilist,” Philosophia Christi, Vol. 13, No. 1, 2011 (La Mirada, California: Biola University), 102. 72. ￪ J. I. Packer, http://www.billmuehlenberg.com/2011/03/12/against-universalism/. 73. ￪ Moreover, as we have seen, there is no reason “day or night” need be a literal phrase. See 1 Thessalonians 2:9, 3:10; Isaiah 34:10, Revelation 4:8, 7:15, 12:10, 20:10. 74. ￪ Homer, Iliad 16.123,194; 1.599. 75. ￪ E.g. Eusebius, History of the Church 6:41. 76. ￪ Herman Witsius, The Economy of the Covenants Between God and Man 1.5.XLII. Witsius was professor of divinity at the Universities of Franeker, Utrecht and Leiden. 77. ￪ J. I. Packer, http://gospelpedlar.com/articles/Bible/cov_theo.html, last accessed 18 September 2012. 78. ￪ Jonathan Edwards, “Concerning the Endless Punishment of Those who Die Impenitent,” in The Works of Jonathan Edwards, rev. Edward Hickman, 2 vols. (Carlisle, Penna: Banner of Truth Trust, n.d.), 2:524; Augustine, City of God, Book 21, in The Fathers of the Church: A New Translation (1954), 169-170. 79. ￪ Ben Witherington III, http://www.patheos.com/blogs/bibleandculture/2011/03/19/and-now-the-case-for-permanent-residence-in-hell, last accessed 17 September 2012. 81. ￪ “Evangelical Annihilation in Review,” 37-51, Reformed Review 6 (1997), 43,47-48. 83. ￪ David W. Bercot, The Early Christians and Three Views of Hell (CD) (Amberson, Pennsylvania: Scroll Publishing, 2012). 84. ￪ My first work on the conditionalist view was Douglas Jacoby, “Heaven and Hell: Terminal Punishment” (Unpublished paper, Stockholm, 1991), available at http://www.douglasjacoby.com. NextClarifying Tom Ascol's "4 Truths About Hell"